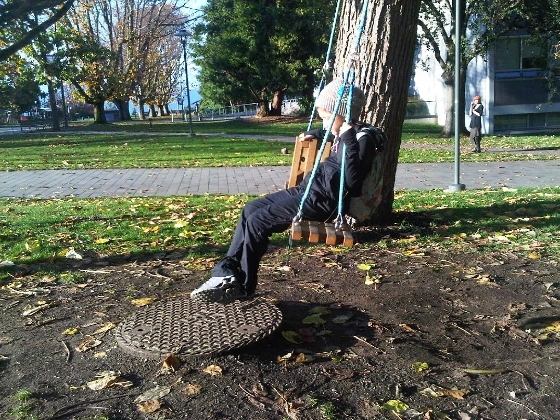 Walking along the UBC campus Main Mall, you cannot miss one of three steam bent white oak swing installations, an idea created by SALA’s director, Leslie Van Duzer, to promote a fun public space on campus. 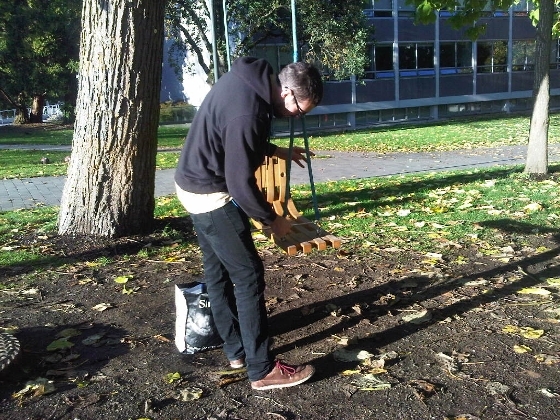 Here’s Peter Fortune doing his regular maintenance work on the swings. 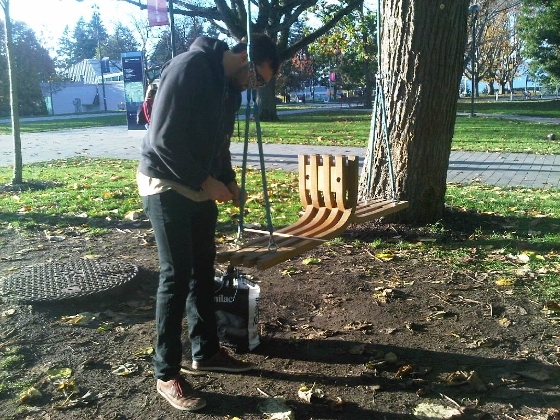 For more information on the swings you can email Peter at peterfortune23@gmail.com.